1. Who wants Twitter? : The worst kept secret in Silicon Valley is that Twitter is for sale. But what if nobody wants to buy it? Twitter shares were poised to open down 10% in New York after Recode reported that potential suitors Google and Disney have decided not to make offers for social media platform. Apple (AAPL) also appears to be an unlikely bidder. The question: Will anyone ride to Twitter's rescue? Twitter (TWTR), Google (GOOG) and Disney (DIS) did not respond to requests for comment. 2. EasyJet's wings clipped: In Europe, low cost airline EasyJet (ESYJY) said its profits will fall 25% in the financial year ended Sept. 30. Why? Because of the pound's collapse in the wake of the Brexit vote. Foreign exchange movements have already cost the airline 90 million pounds ($115 million). The pain is far from over. 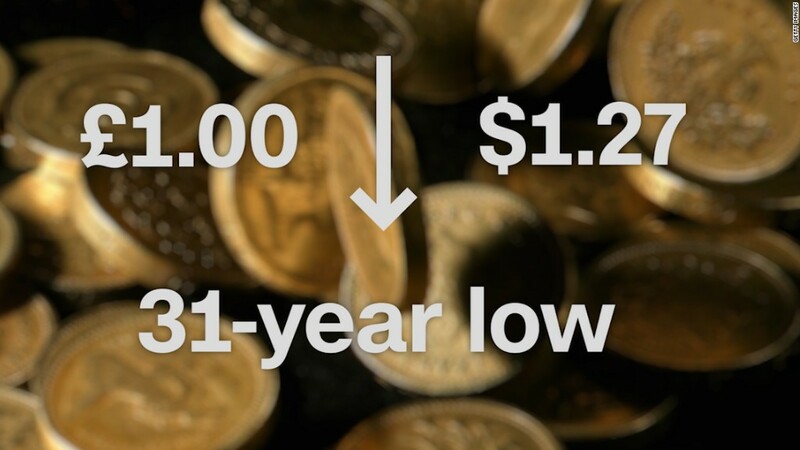 A similar currency hit is expected over the next 12 months as the weaker pound pushes up fuel costs. 3. A final blow to Yum Brands: The parent company of KFC, Taco Bell and Pizza Hut has been weighed down for years by its China division, which has suffered from a series of debilitating food safety scandals. Yum's (YUM) solution was to spin off its business in the country. There's less than a month to go before the separation is complete, but Yum is not escaping without one final insult. "Anticipated tougher laps in the second half of the third quarter were compounded by an international court ruling on claims regarding the South China Sea, which triggered a series of regional protests and negative sentiment against a few international companies with well-known Western brands." Same store sales fell 1% in the quarter in China. 4. 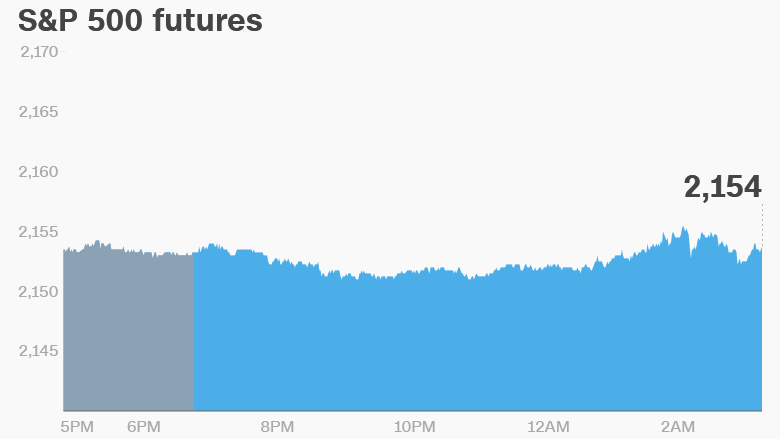 Market overview: U.S. stock futures are flat. European markets are mixed in early trading, with EasyJet's earnings weighing on the FTSE 100. Germany's Dax and France's CAC 40 were both sightly higher. Asian markets ended in positive territory. Hong Kong led the charge with a 0.7% gain. On Wednesday, the Dow Jones industrial average advanced 0.6%, while the S&P 500 added 0.4% and the Nasdaq gained 0.5%. 5. Earnings and economics: Investors in the U.S. can look forward to the weekly report on jobless claims. It will be released at 8:30 a.m. ET. Ruby Tuesday (RT) will report after the close.